Remove the radiator inlet hose clamp (1) at the engine using BO-38185 Hose Clamp Pliers . 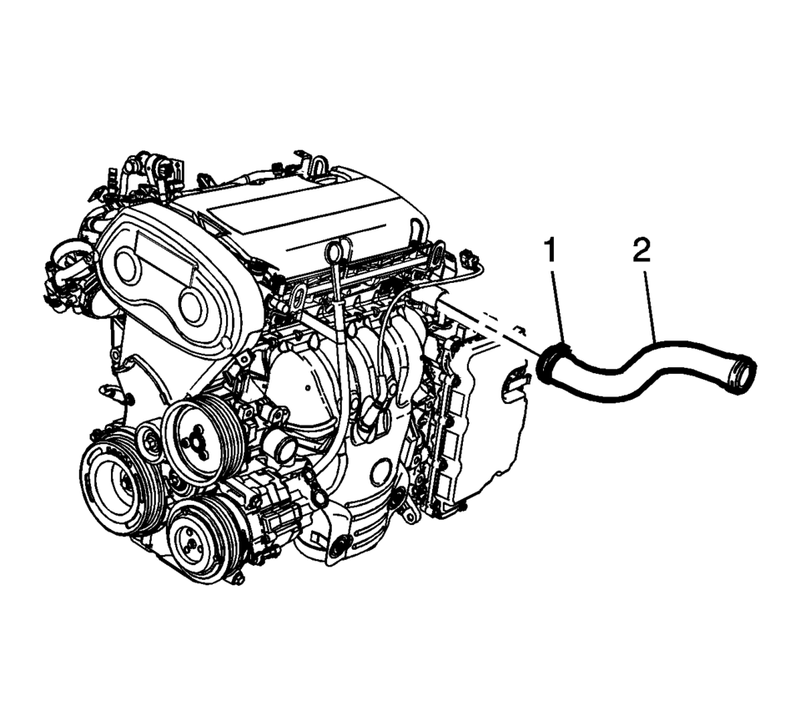 Remove the radiator inlet hose (2) from the engine. Remove the radiator inlet hose clamp (1) at the radiator using BO-38185 Hose Clamp Pliers . 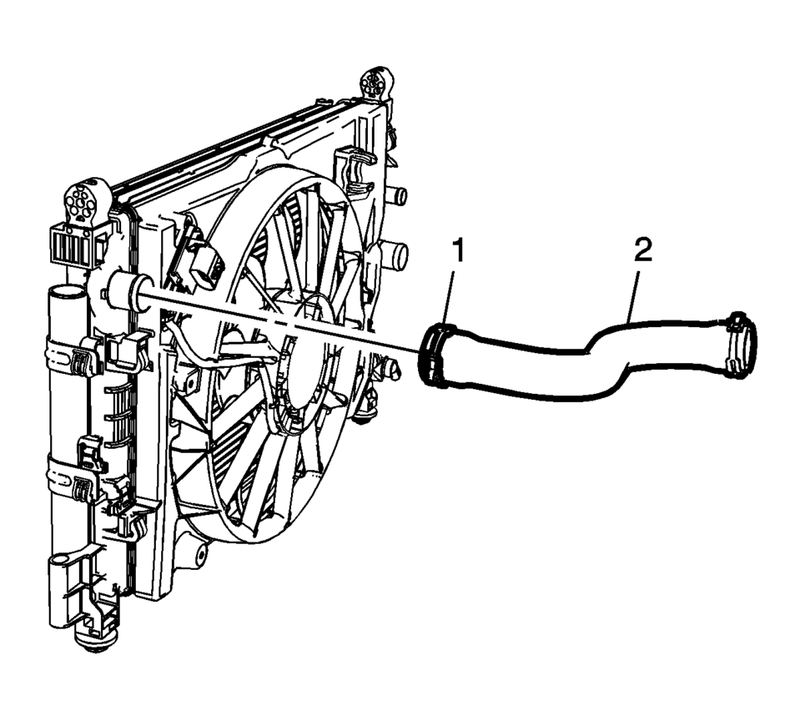 Remove the radiator inlet hose (2) from the radiator. Remove the radiator inlet hose from the vehicle. Install the radiator inlet hose to the vehicle. Install the radiator inlet hose (2) to the radiator. Install the radiator inlet hose clamp (1) at the radiator using BO-38185 Hose Clamp Pliers . Install the radiator inlet hose (2) to the engine. Install the radiator inlet hose clamp (1) at the engine using BO-38185 Hose Clamp Pliers .